Reports that Gurlitt Task Force May Not Meet Deadline—What Happens Then? 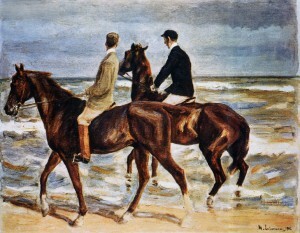 There were reports over the weekend that the Gurlitt Task Force, currently reviewing the provenance of more than 900 of the 1,280 works of art seized from Cornelius Gurlitt’s apartment, may not complete that review within the year reportedly set out in the agreement between Bavaria and Gurlitt before he died. There is still confusion about whether the Task Force was indeed foreshadowing a missed deadline (the agreement was in April, so the notion that the review would continue “into 2015” is not necessarily inconsistent with completing its task within one year), but assuming it was, what happens then?